FRANKFURT: Dean Raineri is a man at Lufthansa Technik with a long title. “Project Director, New Aircraft and Infrastructure Development Aircraft Maintenance” means that he’s the man with overall responsibility for making sure new planes enter into service successfully, resolving any teething problems, and ensuring that they go on to provide safe and reliable operations. For example: Lufthansa will take delivery of its Airbus A350 XWB aircraft with a seat gap where premium economy will be, since its premium economy seatmaker ZIM is not on the Airbus catalogue of pre-selected, pre-approved seats for the A350. Those planes will be delivered with economy down the back, and whatever the airline decides upon up front (Raineri declines to be the Lufthansa staffer to let slip whether or not the airline will be outfitting these aircraft with first class — sorry, readers, RGN tried!) but with nothing in between. 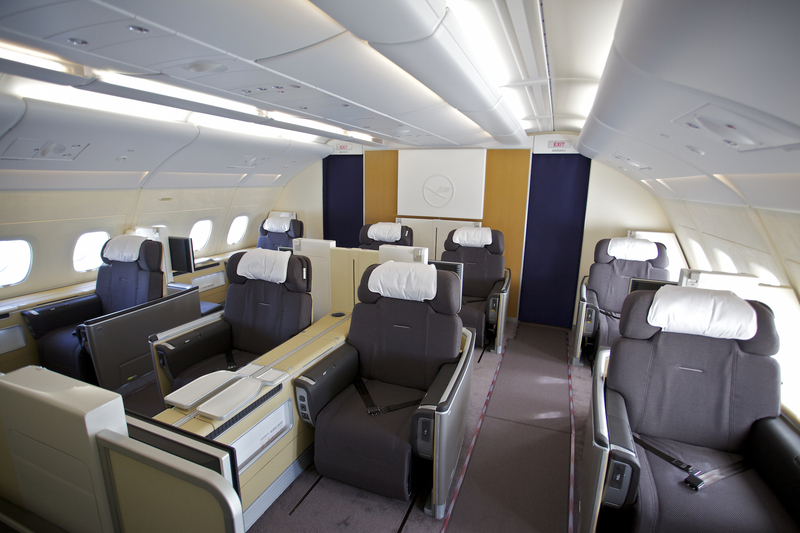 Lufthansa Technik will complete the ZIM premium economy install post-delivery. So what are the processes of putting a new aircraft into service, and the challenges in doing so? “One part is getting acquainted with the new technology, making sure you know what’s approaching you in terms of new products and new aircraft generation,” Raineri said during an interview with RGN while seated at the back of the first class cabin of D-AIMN, an Airbus A380 being refit in Frankfurt’s cavernous maintenance hangar to the south of the main runways. “The second thing is seeing how the development evolves, how the manufacturing evolves, and being in sight of the maturing process. That’s very important and interesting for preparation. The third part is configuring the airplane from the operation side, from all the necessities that you need to operate the airplane, where you have possibilities and alternatives, and to decide on the right systems (where you have the options) and the cabin configuration,” notes Raineri. 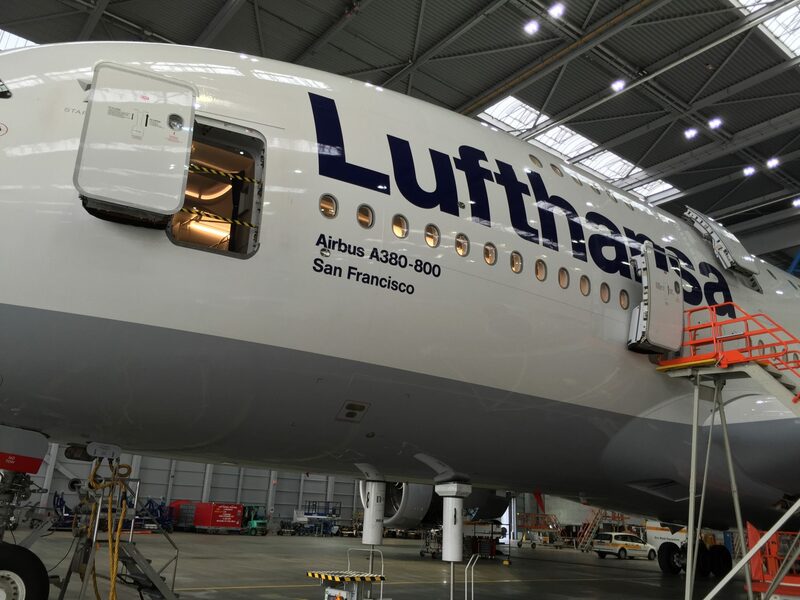 The Lufthansa Technik executive emphasizes again and again the amount of planning and project & programme management required in order to do intensively complex work across numerous parts of the business — not to mention with suppliers and OEMs. “On top of that,” Raineri continues, “we get involved very deeply into the cabin design from the maintenance side, because we have to put a lot of effort into maintaining and keeping this cabin up to operational and passenger needs, so we have a close cooperation with our product designers in that phase. A fourth part in preparing for new aircraft, he says, “is getting everybody in the company who is involved in aircraft maintenance but also in the operation lined up, and get everybody active early enough in preparation”. As an example, Raineri gives a ground operations change that needs to be communicated. “Usually, new aircraft types generate different situations. As simple a thing as the A350 having the bulk hold in the tail, but the door is on the left hand side of the airplane, not on the right hand side as in almost every other widebody aircraft. So for ground processes, you have to make sure that every handling agent around the world where you fly to is well aware of the new situation and can handle this new aircraft.